Sumps are an important part of your foundation waterproofing system, but it is important to know that a sump on its own will not ensure a dry basement. Without weeping tile attached to it, the sump will only draw water from a small portion of the foundation. We often see homes where people have installed multiple sumps (the most we’ve seen is five) with water still seeping in other locations. A properly sized and properly installed sump basin for the size of the house and expected water volume is the first step. Too small of a basin for a high flow system can cause too rapid cycling of the pump, resulting in pump burn out and failure. Old wood or concrete sump boxes with dirt bottoms can clog the pumps, also resulting in failure. We install top quality pumps with enclosed float systems to avoid the chance of the float hanging up. All pumps are hard plumbed in place with easy access to inspect and replace when necessary. If your basement is in imminent danger of flooding if your sump quits due to mechanical failure or a power failure, then you need to consider a battery backup system. Add on pumps from your local hardware store are typically fairly low volume pumps and only run for short periods of time. We install top quality pumps from Pro Series that come mounted together on a single base with a matched deep cycle battery and charging system. The secondary pump in the system is still high capacity and has an expected run time of 48 hours for intermittent service. The pumps can also be connected to your home alarm system for notification if the backup system has been activated. 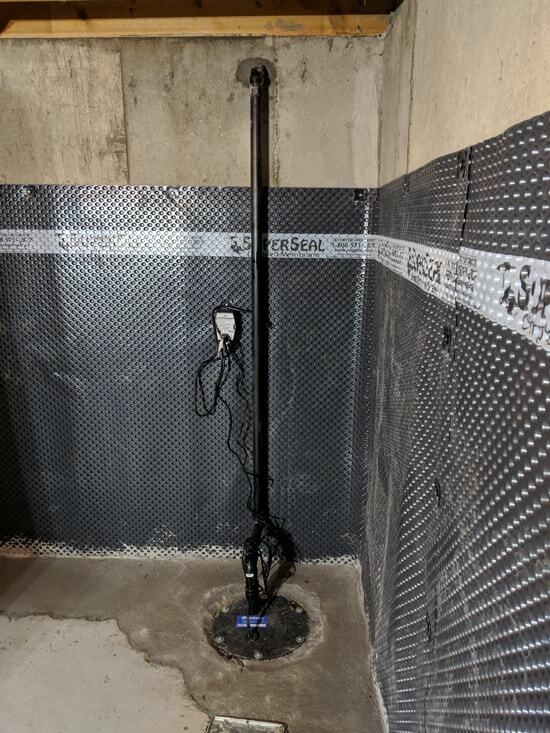 Because each foundation is different, our technicians will put together a system specifically designed for you, with our range of sump pump options, backup and monitoring systems, and worry-free maintenance service. In order to achieve peak performance from each unit, every sump pump we install is specifically located and completely enclosed. And to help you maintain your peace of mind and confidence, all of our equipment is fully warranted.